We're excited to announce that Webio will be exhibiting and speaking at this year's Call & Contact Centre Expo. The tools, techniques and systems revolutionising the world of Customer Engagement will again be taking London by storm on March 27th and 28th, 2019, for another instalment of Europe's greatest sales and marketing event! 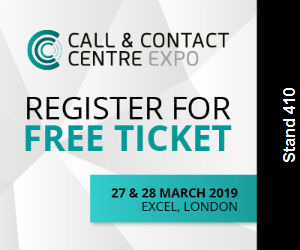 All under one roof, experts will be on hand to enlighten visitors with the very best CX guidance available; while an array of the industry's biggest brands and most innovative suppliers will be showcasing the solutions shaping the future of the contact centre. 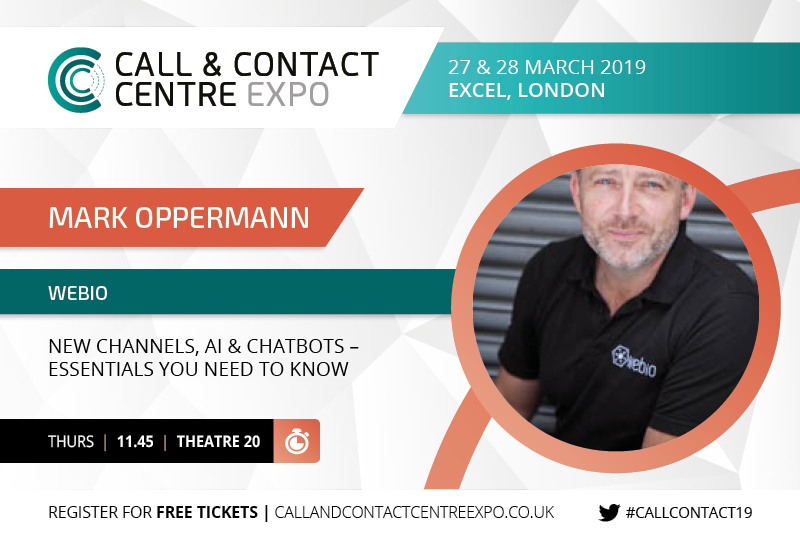 And Webio will be there talking about how the growth of AI, Chatbots and new Channels are still a challenge for all contact centres when it comes to customer engagement. We are going to showcase how Webio's Award Winning AI Driven Conversational Middleware is helping contact centres of all sizes to significantly improve customer experience, increase engagement rates and lower agent resource needs. If you are looking to excel in the customer engagement world, this is THE event to find all the technologies, strategies and advancements! So what are you waiting for? Grab your FREE ticket now because this is THE place to be !